« Pix worth SO much more than a thousand words…. 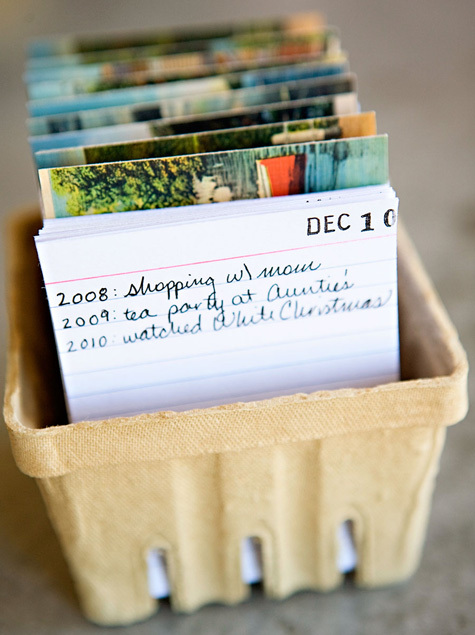 Get started now on a “perpetual diary” like this… make an index card for each day of the year (or even week, if you like! ), file the cards in a berry basket (I used vintage postcards to divide the months!) … add a single-line happening a day to make it a journal.